Long Term Care Planning is the process of preparing for and funding long term care. Long Term Care refers to a wide-range of medical, personal and social services for individuals who are unable to provide for their own needs for an extended period of time. This need for care from others may be caused by age, accident, illness, dementia, stroke, depression or frailty. Personal needs may include assistance with activities of daily living to help move about, dress, bathe, eat, maintain hygiene, toilet, or help with incidental daily living activities like household cleaning, meal preparation, shopping, paying bills, visiting the doctor, and taking medications. In other cases, long-term care may consist of providing supervision to avoid injury or wandering, companionship, or support and respite for a caregiver. How Expensive can Long Term Care Be? Informal Caregiving, provided by family and friends, can carry significant costs as well. These costs are almost entirely shouldered by the child(ren) of the aging parent. For more on this, see "Caring for a Loved One at Home Can Be Challenging." Unfortunately, there is an abysmal lack of planning for long term care in our country. A survey, conducted by the John Hancock Insurance Company, reveals most seniors acknowledge the need for planning but very few actually make preparations for long term care. The study found over 50 percent of the respondents worry about paying for long term care but almost 70 percent of respondents said they had done little to no planning for their long term care needs. All of this can disappear with the need for long term care. The costs of care can wipe out a lifetime of savings and destroy equity in a home and poor care planning can lead the elderly into serious withdrawal and sadness. These could include requests pertaining to care preferences, wishes pertaining to end-of-life scenarios, wants concerning preferred medical treatments, a list of health care providers, desires for disposition of property and instructions to a potential care advocate or representative. These documents and instructions can be formalized into legal documents by an elder law attorney. A Care Advocate or Personal Care Representative will represent the interests of a loved one receiving or preparing to receive long term care. This care advocate plays an important role in making caregiving decisions, arranging funding for services, and coordinating care. This person could also be given responsibility by power of attorney or guardianship. A care advocate could be a spouse or child, a caregiver, a friend, a trusted adviser, or even a professional care manager. End-of-life planning can include preplanning a funeral and burial, preplanning final arrangements, expressing wishes for a place to die, and giving information and instructions for advanced planning documents. We recommend using a Funeral Pre-Planning Advisor to assist in these matters. These items might include estate planning documents, advanced directives, wills, trusts, and various powers of attorney. We recommend using an elder-law attorney or an estate planner to assist in these matters. 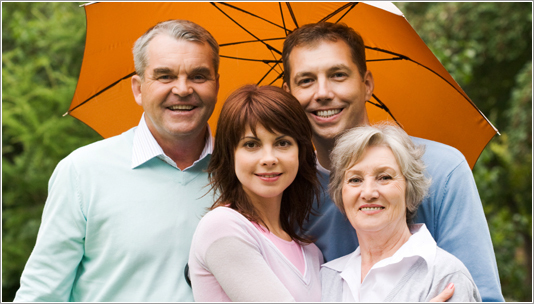 This planning would provide the family with a list of assets, income, a savings plan, and insurance plans. Particular funding strategies for long-term care services and asset preservation can also be discussed and planned for. This might include Medicaid planning or Veterans Benefits. This final step is important. No plan has meaning unless those who will be involved in making the decisions are aware of it. We encourage you to provide copies of the long term care plan to all that may be involved, even if the involvement may seem inconsequential. These directions will allow the family, caregiver and possibly the care advocate to make informed decisions based on the wishes and instructions made in the plan. This will save these individuals a great deal of time, heartache, stress and money as they implement the care plan.